Thanksgiving is a tradition that dates back to before the formation of the United States however most people know less about its origins than they think. For example, did you know that, contrary to popular belief, the first Thanksgiving on our shores was celebrated with Indians but not with Pilgrims and took place in what is now West Texas not in Plymouth, Massachusetts? 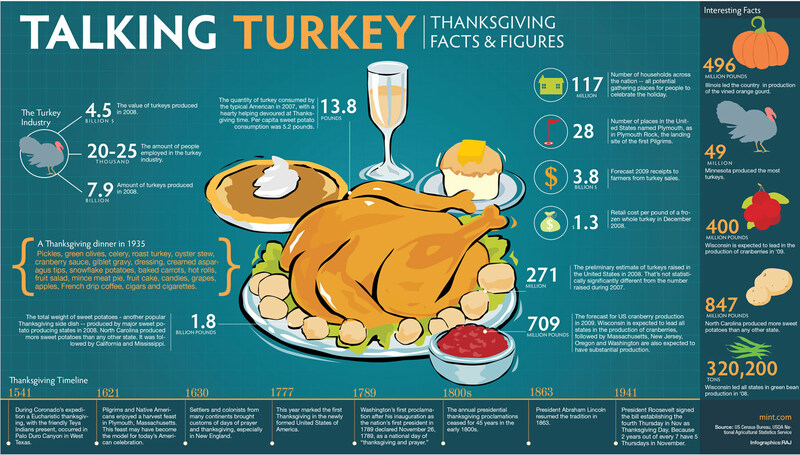 In this infographic by Mint.com, you’ll find a collection of useful and interesting facts and figures about Thanksgiving.